Wine Is Not Emulator. It allows you to install and run many Windows software on other operating system. 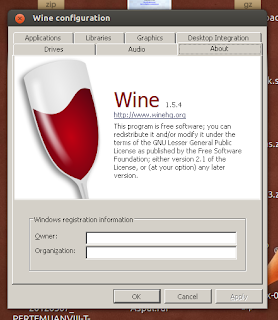 Wine is suitable for Linux users who can't live without any Windows application. 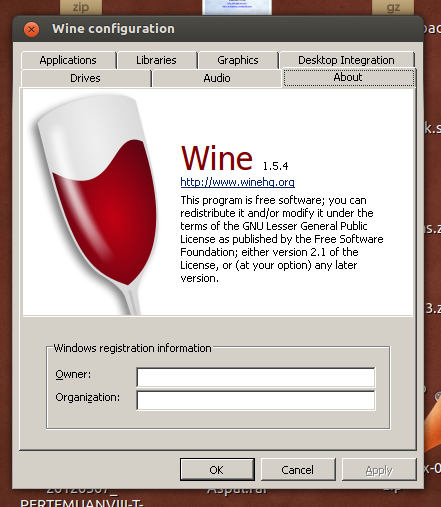 Although Wine is still under active development and not every application works yet, however there are already several million people using Wine to run their favorite Windows application. Wine has gained a new version 1.5.4 which brings a lot of improvements and bug fixes, including better support for Microsoft Office, Adobe Premiere, and many games. OpenGL support in the DIB engine. Beginnings of support for .NET mixed assemblies. Support routines for Internationalized Domain Names. For further information about this release, please visit this page. If you need help installing application or game via Wine, please take a closer look at Wine Application Database for assistance.